A new addition is due to come any day. (or at least I am hoping any day soon) While I wait for her arrival I've kept myself busy doing some crafting. As always I am a procrastinator so I've felt like I am rushing through projects. There are also lot of other things I'd like to make but know I won't have time to do it. Here are some of the projects I've finished already. One of my mommy groups this hat was talked about so I decided that I have to hurry and make one before she is born. 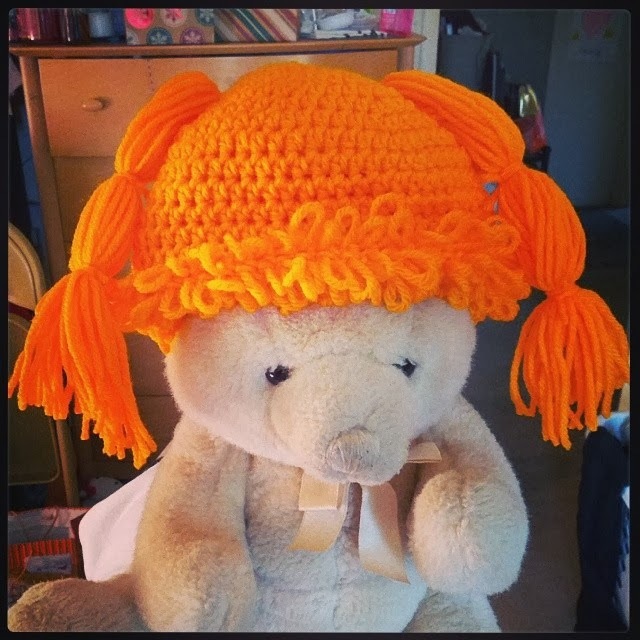 It is a cabbage patch hair hat. I can't wait to put it on her. May just have to make some more in different colors and styles. 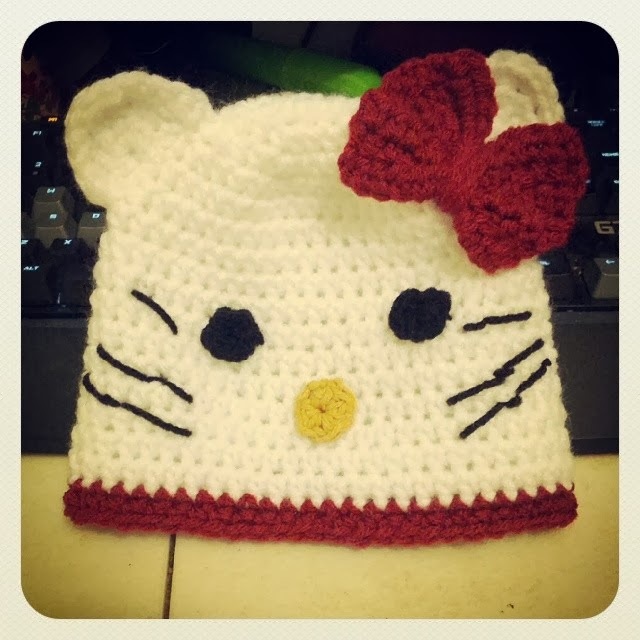 I am a HUGE hello kitty fan therefore of course new baby will need her own hat. 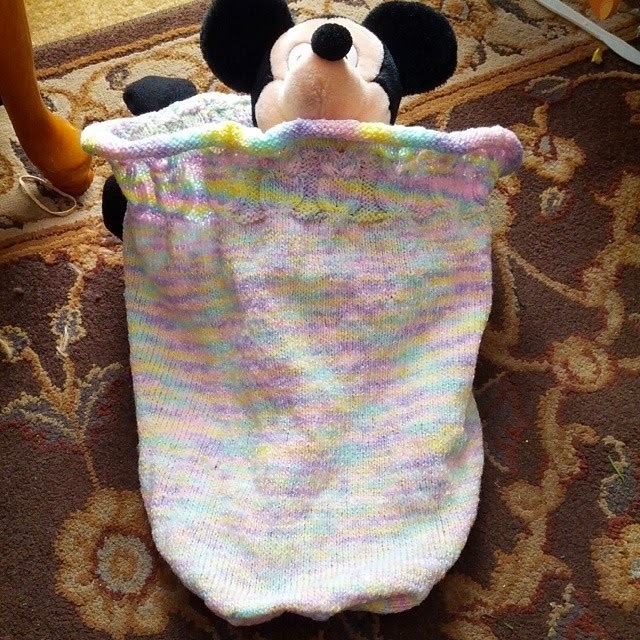 I made an owlie sleep sack for my son and I loved putting him in it when he was small. I knew I wanted to make another one for this new baby. I've had this yarn around for awhile and I have a lot of it so that's why I went with it. I think if I could do it over I would of just done a solid pink or purple color. 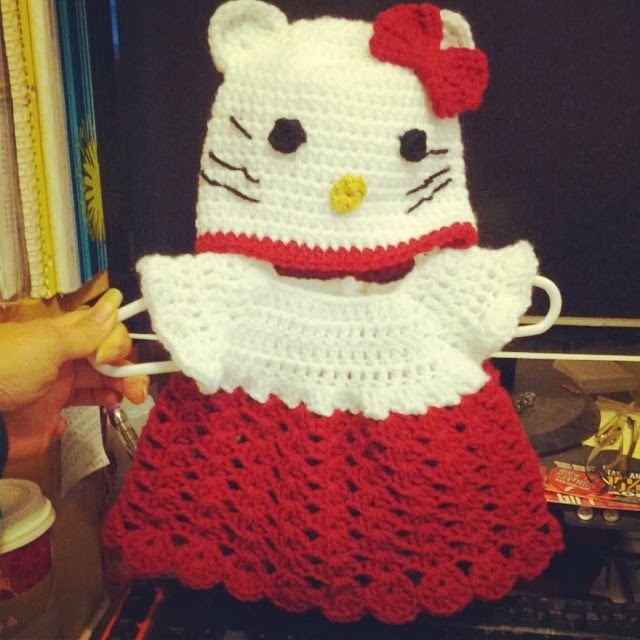 To go with the Hello Kitty hat I had to make a matching little dress. The dress is crocheted also in matching HK colors. Can't wait to see how she looks in this. 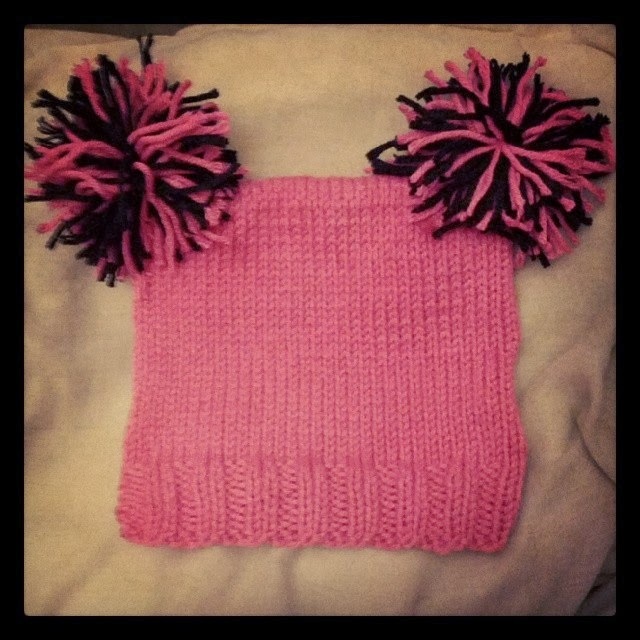 Pom Pom hats seem to be the "in" thing to do so yes I jumped on the band wagon and knit up a super easy hat and added the black/pink pom poms. I love this heart blanket pattern from Fibertrends. 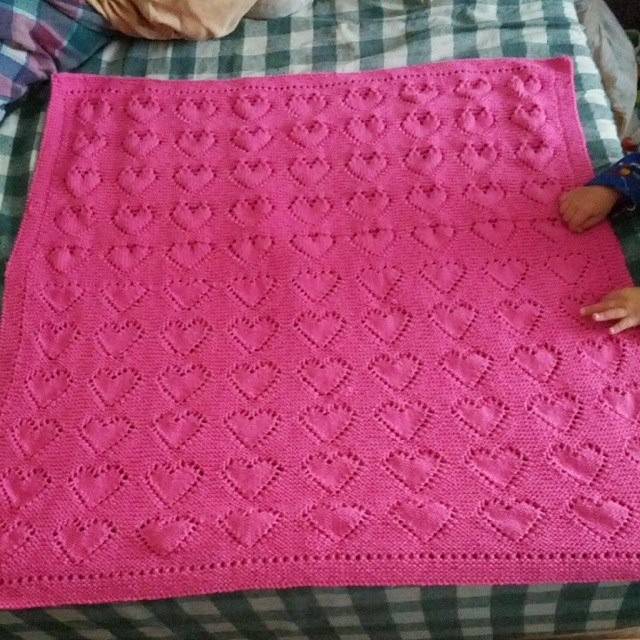 Sadly I did have one row that goofed up the entire blanket but while it may not be perfect I am sure the new baby will love it. Knit in a cotton/acrylic blend it should keep her nice and toasty. I'm hoping to try and maybe get a couple other yarn crafts done. I do have a small list of sewing projects I'd like to do before she is born but dragging out my sewing machine does not sound very appealing right now. Crafting for a baby girl is so fun as there is just SO many things one can make. It's definitely a lot of fun!